Probably because the studio released two Pixar movies in 2015 - Inside Out and The Good Dinosaur - the Disney Animation branch put out nothing new that year. However, they returned with a success in early 2016 via Zootopia, an effort that earned great reviews and solid box office figures. In the film’s universe, animals of all shapes and sizes learned to get along, so prey no longer needs to fear predator. However, stereotypes and “glass ceilings” remain, which means a hard road for a rabbit named Judy Hopps (voiced by Ginnifer Goodwin). Although she manages to become the first-ever bunny police officer, Judy gets little respect. Police Chief Bogo (Idris Elba) views her as a gimmick and refuses to give her serious assignments. Judy gets her shot at the big time when she finds a way into a major “missing predator” issue. 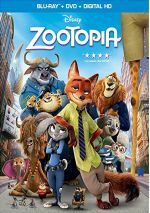 Judy’s investigation forces her into an unlikely pairing with Nick Wilde (Jason Bateman), a con artist fox who helps her navigate the streets of Zootopia. Despite my longtime love of Disney animation and a slew of rapturous reviews, I went into Zootopia without much enthusiasm. I can’t really say why, though I suspect my reactions to the last three Disney flicks acted as a factor. Don’t get me wrong: I liked 2012’s Wreck-It Ralph, 2013’s Frozen and 2014’s Big Hero 6. However, I didn’t think any of those seemed better than average, and they all disappointed me to some degree. Given that backdrop, my lack of excitement toward Zootopia seemed logical – and that makes my enjoyment of it all the more satisfying. 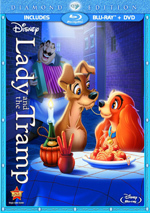 While I don’t know if it stands with Disney’s all-time classics, it certainly delivers a delightful experience. Though it takes a little while to get going. The movie’s first act can seem a bit sluggish, mainly because it needs to generate so much exposition. Zootopia finds itself with a need to explain a whole lot – the characters, the “Zootopia” city, the prey/predator relationships, the police-related plot – so I can understand the slightly slow start to matters. However, even through all that exposition and development, Zootopia moves reasonably well, and once we get past the first act, the movie cranks even better. The characters quickly endear themselves to us and we find each frame packed with information. To be sure, Zootopia takes good advantage of all its animals and situations to offer a visual feast. I suspect the film would benefit from ample freeze-frame usage, as I bet we’ll find plenty of fun tidbits from start to finish. The filmmakers use the visuals to create a lively experience. Dialogue and situations offer plenty of humor as well. The occasional groaner occurs, but most of the jokes amuse – and even the cliché Godfather reference works. The voice actors add to the tale, and I like the interaction between Goodwin and Bateman. Both fill their characters in a satisfying manner and connect to help bring their roles to life. If I had to find a flaw here, it’d be the main police investigation theme. This attempt at a mystery seems too muddled and it doesn’t tend to go anywhere. The plot acts to motivate action but it never becomes especially compelling in its own right. Even so, Zootopia delivers a delightful comic adventure. It boasts more inventiveness than most and winds up as a clever, charming movie. Zootopia appears in an aspect ratio of approximately 2.39:1 on this Blu-Ray Disc. This was a great presentation. At all times, sharpness looked crisp and detailed. If any softness materialized, I didn’t see it, as I thought the image remained tight and well-defined at all times. No issues with jagged edges or moiré effects appeared, and the movie lacked edge haloes or artifacts. Of course, no print flaws popped up along the way. In terms of colors, Zootopia went with a broad palette. All those animals allowed for a wide variety of hues, and the image brought them out in a vivid and dynamic manner. Blacks were dark and deep, and shadows seemed smooth and clear. This was a consistently fine image. Though not as impressive, the movie’s DTS-HD MA 7.1 soundtrack also pleased. The film didn’t deliver a ton of opportunities for auditory theatrics, but we got enough to bring the mix to life with reasonable frequency. These blended together well and created a nice package of sound components from all around the room. Audio quality was solid. Music sounded dynamic and full, while speech was distinctive and natural; no signs of edginess occurred. Effects appeared accurate and showed nice range, with solid low-end when appropriate. Though the mix never really threatened to reach “A”-level, it became a definite “B+” track. A few featurettes appear, and these start with Research: A True-Life Adventure. The nine-minute, 58-second piece offers info from directors Rich Moore and Byron Howard, co-writer/co-director Jared Bush and producer Clark Spencer. As implied by the title, “Adventure” looks at the ways in which the filmmakers got to know real animals and how this work influenced the movie. It also looks at city design. At times, this feels a little like an ad for Disney theme parks, but this still becomes a good overview. Next comes The Origin of an Animal Tale. It fills nine minutes, 15 seconds with comments from Howard, Spencer, Moore, Bush co-writer Phil Johnston and actor Ginnifer Goodwin. 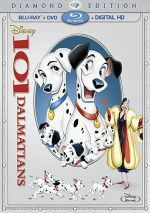 It looks at the evolution of the movie’s story. We get a lot of intriguing insights as we learn about changes that occurred along the way. During the 18-minute, 23-second Zoology: The Roundtables, we get three separate segments. Introduced by Goodwin, we find comments from character look development supervisor Michelle Robinson, head of characters and technical animation David Komorowski, technical supervisor Ernest Petti, production designer Dave Goetz, director of cinematography – layout Nathan Warner, director of cinematography – lighting Brian Leach, set extension supervisor John Murrah, art director of environments Matthias Lechner, head of environments Hans-Jorg Keim, visual effects supervisor Scott Kersavage, co-head of animation Tony Smeed, animation supervisors Jennifer Hager, Bobby Huth, Kira Lehtomaki, and Chad Sellers and crowd supervisor Moe El-Ali. In these clips, we look at the design and creation of the movie’s characters, sets/environments, cinematography, and animation. Obviously, these stick with technical areas, and they do so pretty well. The “Roundtables” offer a nice overview of various filmmaking issues. Scoretopia lasts four minutes, 59 seconds and provides notes from Howard, Moore, composer Michael Giacchino, musician Abe Laboriel Sr., and Disney COO John Lasseter. We get a quick look at the recording sessions in this fluffy little piece. We see “Easter eggs” in the three-minute, 23-second ZPD Forensic Files. These let us see little winks and references that appear in Zootopia. It’s a fun compilation. A music video follows. This accompanies “Try Everything” by Shakira and it mixes movie shots with glimpses of Shakira in the recording studio. It’s a dull video for a forgettable song. Two separate sections look at Deleted Characters (3:16) and Deleted Scenes (7, 28:03). In “Characters”, Moore and Howard tell us about animals who failed to make the film. Some amusing possibilities appear. As for the seven “Scenes”, these also feature introductions from Moore and Howard. The scenes offer a lot of amusing and interesting material, much of which would’ve sent the movie down a different path. These tend to be enjoyable and entertaining in their own right. The disc opens with an ad for Finding Dory. Sneak Peeks adds a promo for Girl Meets World. No trailer for Zootopia appears here. A second disc offers a DVD copy of Zootopia. It includes “Scoretopia” and the music video but lacks the other extras. 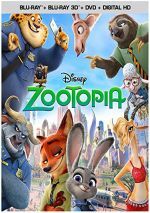 Bright and funny, Zootopia offers standard Disney themes but embellishes them with wit and flair. The film offers an energetic and clever tale. The Blu-ray presents excellent visuals and very good audio but lacks a great roster of supplements. Even without stellar bonus materials, Zootopia becomes a winner.